New all-time volume records for both Ram and its Pickup. New light vehicle sales in the U.S. drop 4.9% year-on-year in September to 1.449.226 units, meaning the year-to-date volume is now up just 0.5% to 12.943.305. Note September 2017 results were inflated by one-off replacement sales after Hurricane Harvey struck the country in August. The Seasonally Adjusted Annualised Selling Rate (SAAR) is down 3.6% year-on-year to 17.54 million vs. 18.20 in September 2017, yet this is the first 17m+ SAAR since June and the highest SAAR in almost a year, since the 17.97 million of October 2017 and eclipsing the previous 2018 high of 17.33 established in March. The event of the month is FCA shooting up 14.7% to just under 200.000 sales in a sea of negative performances, outselling Ford Motor (-11.3%) for the first time in almost 3 years (since November 2015) for the third place overall. This is FCA’s highest September total volume since 2000 (219.966) and at 149.713 retail sales the highest since 2000 also (189.794). Ford Motor sees its retail sales drive 12.6% to 148.233, padded somewhat by fleet sales down 6.7% to 49.171. Trucks (-9.9%) and SUVs (-2.7%) fail to compensate for abysmal car sales (-25.7%). The groups ranking is dominated by General Motors (-15.8%) with exclusive BSCB estimates for all September General Motors brands and models sales are included in this article as the company now only reports quarterly. The year-to-date figures are actual. Toyota Motor (-10.4%) complete a groups podium exclusively scoring double-digit declines, with Nissan Motor (-12%) and American Honda (-7%) also in difficulty while the BMW Group (+0.2%), Hyundai-Kia (-0.6%) and the Volkswagen Group (-2.6%) beat the market. In the brands ranking, Ford (-11.5%), Toyota (-10.9%) and Chevrolet (-17.8%) compose a podium entirely in freefall – similarly to the groups charts – ahead of Honda (-8.2%) and Nissan (-13.3%) also falling faster than the market. Jeep (+14.1%) stop the haemorrhage with a record September volume at 83.764 units, ending the month above Subaru up 3.5% to sign an incredible 82nd month of consecutive year-on-year gains. Hyundai (+3%) impresses at #8 while Ram (+9.2%) simply signs an all-time volume record at 56.447. Confirming FCA’s exceptional shape this month, Dodge (+40.6%) is among the best performing brands outright below Tesla (+275.6%) posting a fourth consecutive monthly volume record at 29.975, breaking into the Top 15 and outselling BMW and Lexus for the first time, and McLaren (+52.7%). Alfa Romeo (+29.3%) and Volvo (+10.3%) are the only other carmakers scoring a double-digit gain in September while Audi (+0.2%) edges up to extend its streak of consecutive year-on-year gains to 107 months. The Toyota Tacoma advances in the double-digits for the 9th straight month. Model-wise, the Ford F-Series (-9%) puts an end to 16 consecutive months of year-on-year upticks but Ford points out an average transaction pricing (ATP) up $1.000 vs. September 2017 to $46.600 per truck and even $59.100 per truck for the Super Duty variant. 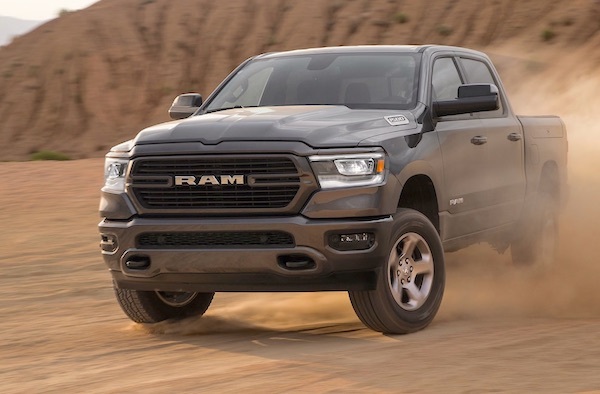 Main architect of Ram’s all-time record, the Pickup brilliantly manages a second all-time volume record in a row, breaking the 50.000 unit-milestone for the first time in history at 51.856, eclipsing its previous all-time high of 49.912 hit last month by almost 2.000 sales. The Chevrolet Silverado (-18%) suffers in third place, distancing the 3 best-selling SUVs in the country: the Toyota RAV4 (-12%), Nissan Rogue (-11%) and Honda CR-V (-1%) surprisingly all in negative. The Toyota Camry (-20%) remains the best-selling car in the U.S. despite a hefty loss, with the Honda Accord (-15%) and Civic (-30%) the only other passenger cars in the Top 10. New volume record for Tesla just under 30.000 sales thanks to the Model 3 up to #13. 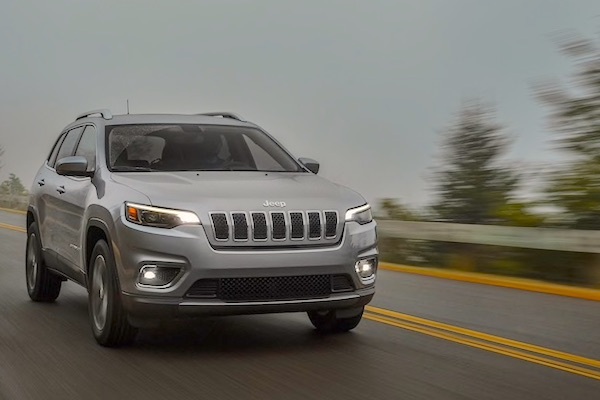 Outside the Top 10, the Jeep Cherokee surges 87% to break its ranking record at #11 (pb #12 in August 2016), also managing its 2nd highest volume ever at 23.836 below August 2016 also (23.932). 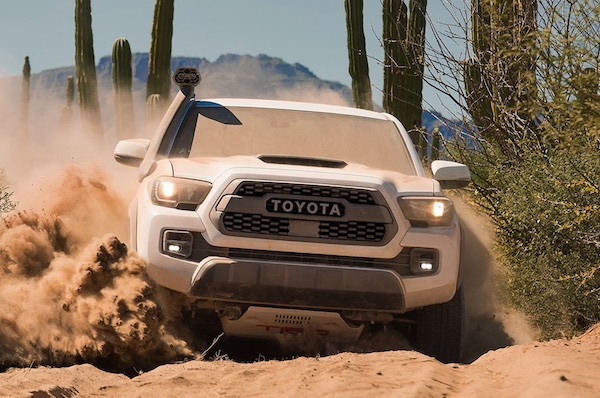 The Toyota Tacoma (+23%) posts a 9th consecutive month of double-digit gains, reaching its highest ranking this century for the 2nd time in the past 3 months at #12. 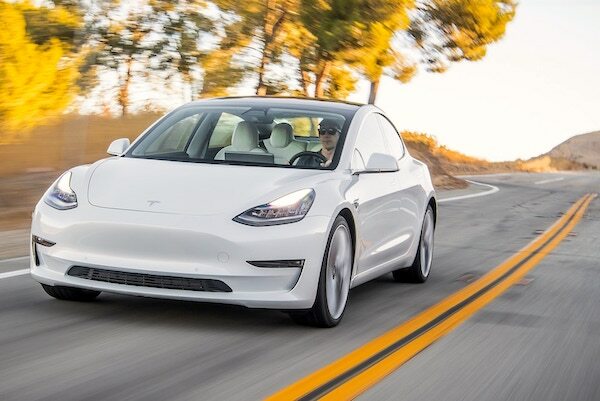 The Tesla Model 3 is starting to appear at a level more attuned to its record 2016 orders, celebrating one year in market with its first 20.000+ month and an 8 spot uplift on August to a record #13, the nameplate’s first time among the U.S. Top 20 best-sellers. Other great performers in the Top 50 include the Dodge Grand Caravan (+344%), Honda Pilot (+50%), Dodge Journey (+48%), Jeep Compass (+46%) and Hyundai Elantra (+38%). The Subaru Ascent is the best-selling recent launch (<12 months) at #74 above the Ford Ecosport (#86) and Hyundai Kona (#90). The Cadillac XT4 lands at #236. Full September 2018 Top 15 groups, Top 40 brands and Top 280 models below. USA 5 months 2012: Discover all 268 best-selling models!